Japanese flapper lands on Australian shores! I am constantly amazed at the array of discoveries that are being made in the Australian National Maritime Museum’s collection. Some of them are just what you might expect from a maritime history collection, and others are just downright unusual. 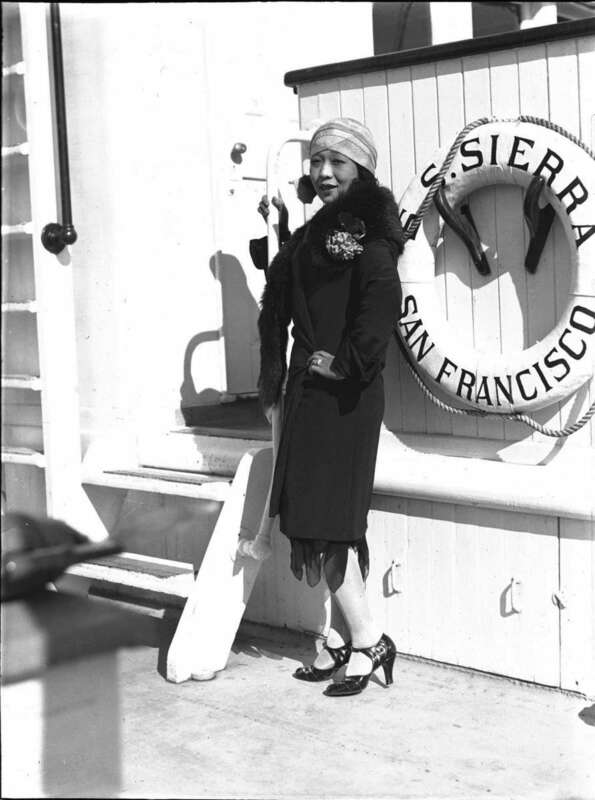 Until recently, the above photograph was catalogued as ‘unidentified Japanese woman’ posing on board the San Franciscan liner SS Sierra at an event celebrating the arrival of Australia’s first Movietone News truck on 8 August 1929. However, as one of our Flickr Commons followers demonstrated, Sydney photographer Samuel J Hood photographed his fair share of interesting characters from far away shores. Curious about this series of photographs, I uploaded them on Flickr Commons, where a community of dedicated researchers we often call ‘super sleuths’ immediately set to work on them. Eventually, one of our followers, who goes by the pseudonym ‘quasymody’, discovered her identity. Introducing singer, comedienne and vaudeville performer Kono San (or Konosan). The avidity with which foreign fashions and customs are being assimilated fills their conservative elders with despair … The Japanese “flapper” has been born and is doing well. Her skirts are as short as can be, her silk stockings, trim shoes, and tight little hat, her walk and her public devotion to lip-stick and powder-puff place her beside the “flapper” of the Western world. Dubbed ‘Japan’s foremost flapper’ by the American press, Kono San appears every inch the ‘modern girl’. 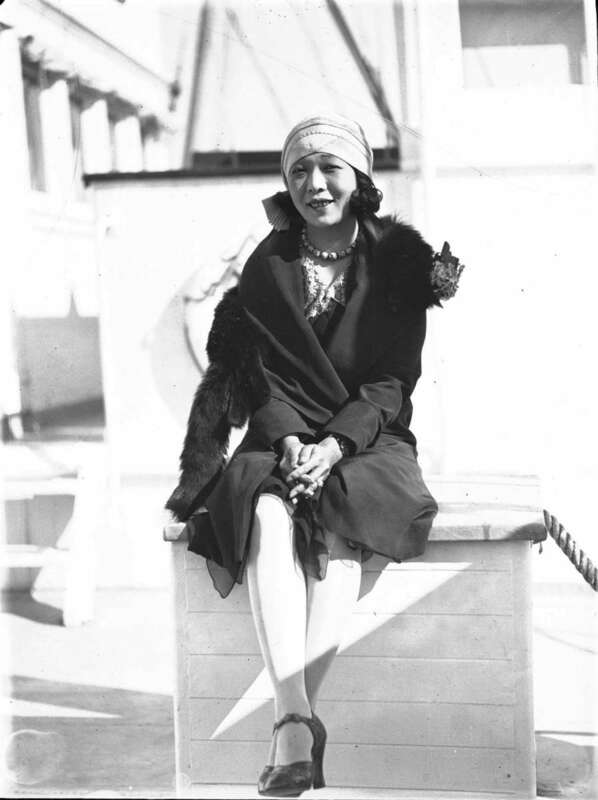 Looking directly at the camera, she poses on deck, hand on hip, lavishly made up and dressed in a coat and fox fur finished off with flowers, high-heeled shoes, jewellery and a hat. However, she is noticeably missing that all-important accessory – gloves! Perhaps most shocking of all was the fact that Kono San earned her living on the stage. 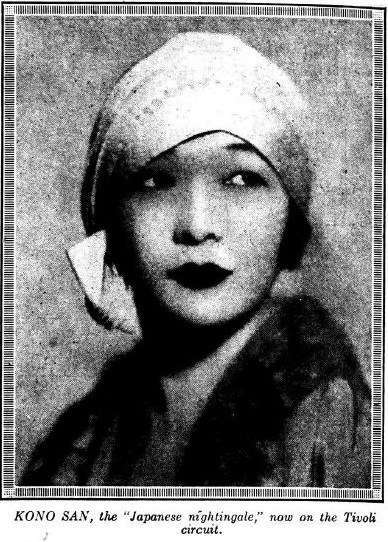 American newspaper Albany Evening News published one review on 26 April 1929 noting that although she sang in her ‘native tongue’, she ‘got better results with our type of vaudeville songs’. After her contract with the Keith Vaudeville Circuit in America ended, the Japanese contralto decided to perform her number on Australia’s famed Tivoli Circuit. Sydney newspaper the Bulletin published a snippet on the ‘Japanese nightingale’ after her arrival aboard Sierra, noting she would be performing at Melbourne’s Tivoli theatre. In all this, there is the inescapable fact that without the help of the online community, Kono San’s identity would have remained a mystery. 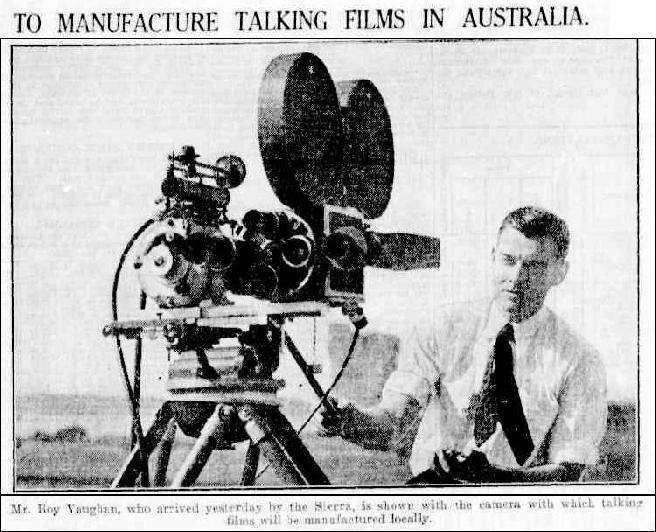 Quasymody went on to link this photograph with this one published in the Sydney Morning Herald, identifying the cameraman as Roy Vaughan. 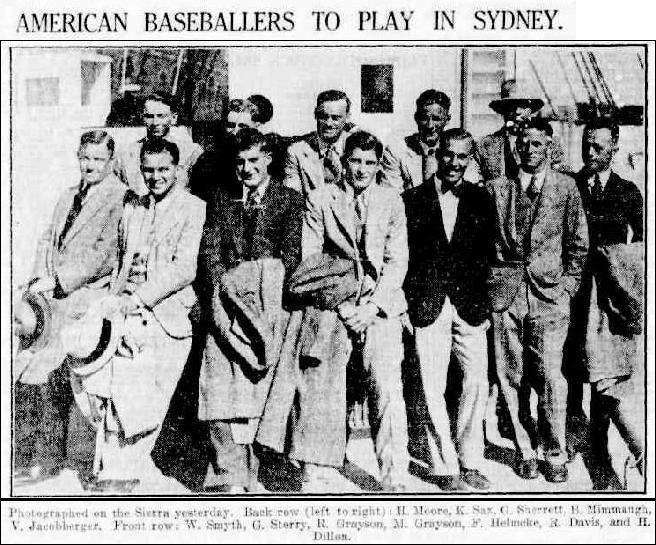 Quasymody then compared this photograph with this photograph also published in the SMH, thereby identifying each individual in the visiting US baseball team! 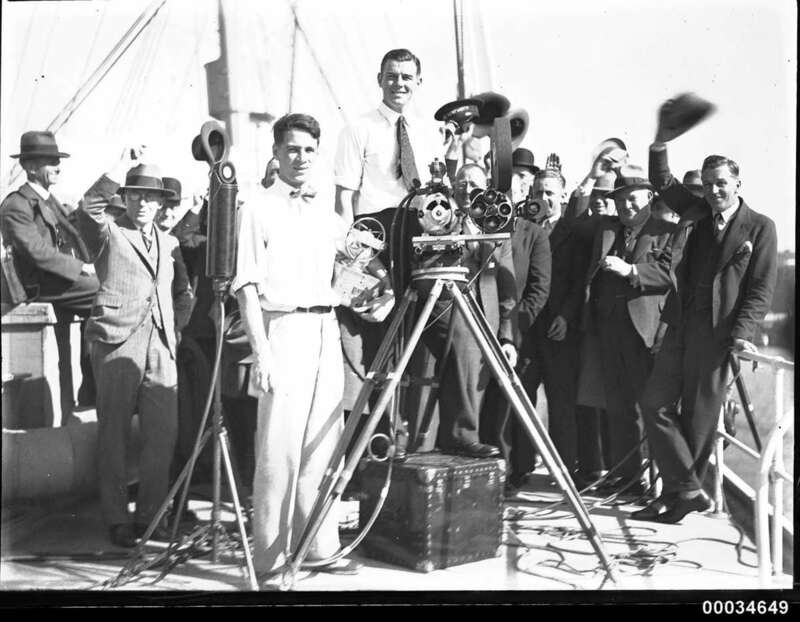 This is the exciting world of online collections, where every day, discoveries are being made and the stories within historic photographs are being unearthed. The museum’s collection is not just about ships. 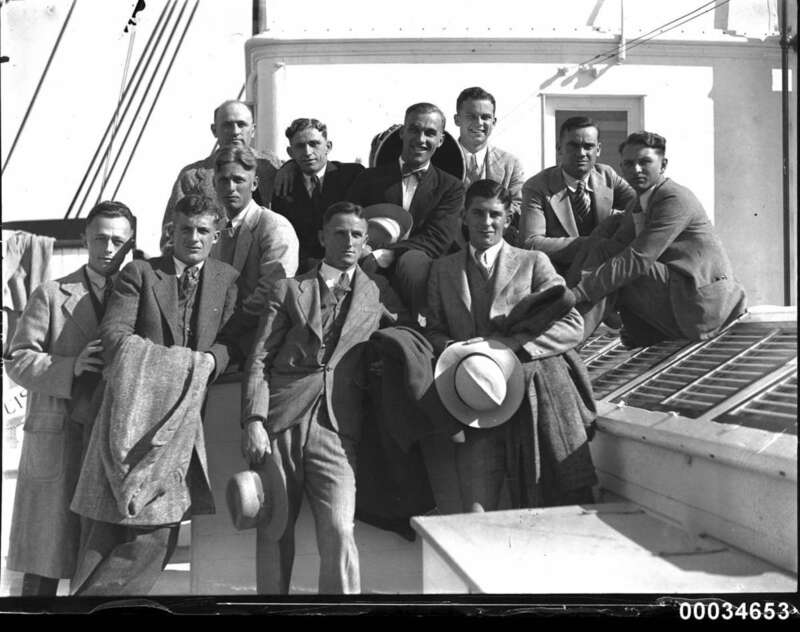 Contained in our collection are a range of stories, such as one about two Australian movie stars who went missing trying to cross the Tasman Sea, another about a glamorous Sydney socialite, and even one story about a Japanese flapper who stepped ashore from San Francisco to find stardom on the Tivoli Circuit. And this is only the tip of the iceberg. The collection is far more diverse than we can imagine and online communities are using their brilliant detective skills to uncover stories and breathe new life into our collection. To them, we are forever grateful. A significant part of the text of this blog was first published in Issue One of ICON Magazine in November 2013, out now. Nicole Cama and Penny Edwell (the artist formerly known as Penny Hyde) work as Digital Curators at the Australian National Maritime Museum in Darling Harbour, Sydney. We blog about events, people and most importantly - the museum's collection. We hope to open up the museum's collection to virtual visitors, blow off the dust and reveal some of the wonderful objects and stories held in the archives and storage rooms of the museum.